Several vegetables are used for the process of how is oil extracted. The vegetables include the sunflower seeds, olives, peanuts and groundnuts. Fruit flesh like the coconut is used too. Oil extraction process starts by the identification of the raw materials to be used in the extraction. Ensure that the raw materials used are in their freshest condition. The extraction process starts with the cleaning stage. Wash thoroughly the raw materials to ensure no foreign substances remain. Such would alter the results. The second stage on how is oil extracted is the crushing and grinding of the raw materials to form a paste. By grinding the seeds or nuts, the vacuoles which store the oil are crushed so when they grinded they release the oils. For full grinding of the raw materials, one can use the metal tooth grinders, stone mills, rollers and hammer mills. The next step for oil extraction is the mixing stage. In the mixing stage, water can be added. Water increases yields when added in this stage. However, it usually results to low quality of the oil extracted. There is the separation stage where the oil formed is separated from the rest of the substances formed in the mixing stage. It is called the pressing stage where the pressing units are used to squeeze out all the oil. After the pressing, the extracted oil is stored in tanks awaiting purification. The last stage in how is oil extracted is the purification stage. In the above extraction process, the oil purification is carried out to get rid of any impurities. The oil can be left for some time without being stirred, to be purified by gravity or by the use of filtering machinery. 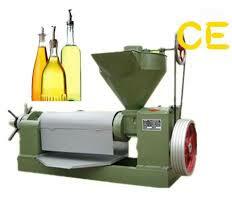 Whatever method is used, the oil extracted will be of high quality if the right procedure has been followed.